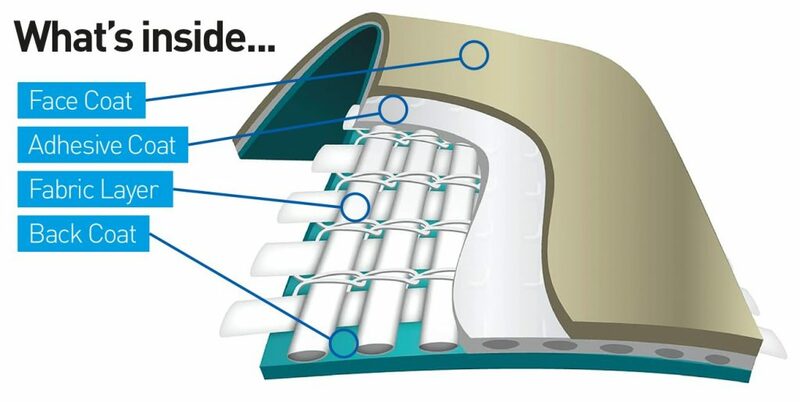 What’s the Difference Between FiberTite & PVC Membranes? Flat roofs are very common amongst commercial buildings in the UK. The three main varieties of flat roofing membranes are EPDM, TPO and PVC. Despite the stigma associated with PVC membranes following their early failures, there are many benefits of their use. The durability of the PVC membrane is excellent. A PVC roof’s lifespan can exceed 20 years, because it has heat-welded seams that form a watertight bond. This means that a PVC roof doesn’t have to depend on other sealing mechanisms, such as adhesives, caulks or tapes, like various other roofing systems do. These welded seams mean that PVC roofs are incredibly resistant to wind damage. They have been known to survive hurricanes and tornados. So, if you live in a location particularly susceptible to strong winds, like many parts of the UK, a PVC membrane roof would be a good choice for you. PVC roofs are also fire resistant, because they are notoriously hard to ignite. This adds to their safety benefits. The high solar reflectivity of PVC membrane means this type of roof is environmentally sensitive, wasting far less energy than other types. This has the benefit of saving you money on your energy bills too! With that said, the development of FiberTite has seen much greater benefits than the PVC membrane. FiberTite is a high-performance technology, consisting of a base layer of fabric. This layer is puncture and tear resistant, making it much more beneficial than a traditional, thick PVC membrane. The knit design incorporates more fibre, making it unmatchable in strength and reliability. Also, the specialised adhesive coating saturates each of the base fabric’s individual fibres, creating a strong bond between the membrane’s front and back coats. It is particularly resistant to harsh environments and wind conditions, and prevents moisture from penetrating the membrane’s edges. The greatest benefit of the FiberTite membrane is the KEE additives which serve as plasticisers. KEE is a molecular ingredient which is both solid and flexible. Its addition to a FiberTite membrane means it will remain flexible for decades, repel harsh chemicals and increase resistance to tears and punctures even further. This combined with the superior properties of a FiberTite membrane makes it a much better option than a traditional PVC membrane. If you have any questions about FiberTite, please don’t hesitate to get in touch. Alternatively, why not take a look at the range of FiberTite products that we stock? Why now is the best time to transfer to EPDM rubber roofing!